Property 2: NEW! Secluded Bremerton Home w/ Fireplace & Deck! 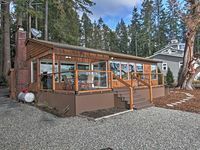 Property 3: BREATHTAKING Puget Sound Views! Family Home Near Mountains, Ocean, And Ferry Rides To Seattle. Property 8: Family Home Near Mountains, Ocean, And Ferry Rides To Seattle. Property 15: Dad’s House & Guest Houses. The Waterfront View Speaks for Itself! Property 17: Art-filled retreat surrounded by trees & gardens, almost an acre of land! See the Seattle Skyline & Mt. Rainier from your vacation home backyard! Property 18: See the Seattle Skyline & Mt. Rainier from your vacation home backyard! Property 19: Lakefront Port Orchard Home w/ 2 Decks & Hot Tub! Property 21: NEW! Central Indianola Home - Steps to Town & Dock! Simple Living at Luxurious, Modern Farmhouse on Bainbridge Island. Dogs ok.
Property 22: Simple Living at Luxurious, Modern Farmhouse on Bainbridge Island. Dogs ok. The Cottage-3 bed/2ba Near Ferries & Naval Base! Property 23: The Cottage-3 bed/2ba Near Ferries & Naval Base! 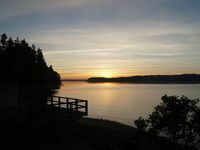 Property 27: Seattle Get Away-Waterfront Beach House on Sunny Bainbridge Island! See The Seattle Skyline, Mt. Rainier & The Cascades From The Beach House! Property 28: See The Seattle Skyline, Mt. Rainier & The Cascades From The Beach House! Property 34: Recently Updated Private Guest House Offers Guests A Quiet & Beautiful Getaway! Property 48: Paradise in the City. Property 50: Home on Port Madison w/Deck & Mt Rainier Views! This is a very unique house on stilts right on the water. Very clean and tidy.